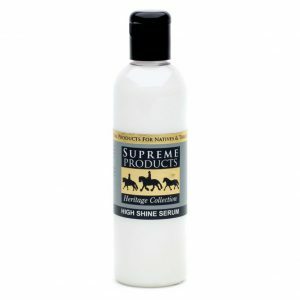 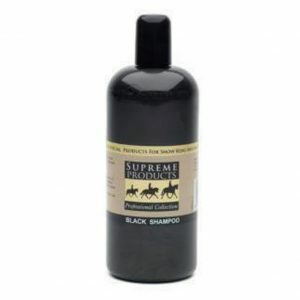 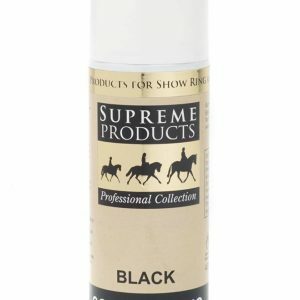 Helping to add definition and shine to darker coats, Supreme Products Black Shampoo deepens colour for a natural looking finish on legs, manes and tails as well as enhancing the colour and shine on dark coats. Regular use of this concentrated shampoo will preserve and enhance the colour of chestnut and roan coats – which tend to show signs of ‘fade’ in sunlight. 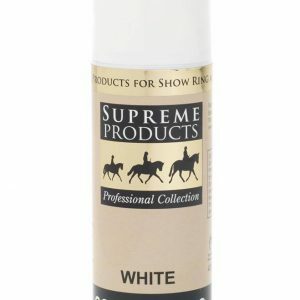 A perfect choice for all coat colours and types. 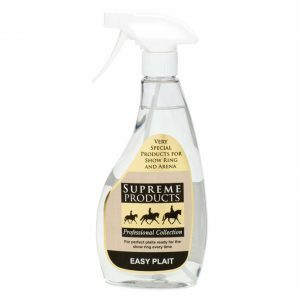 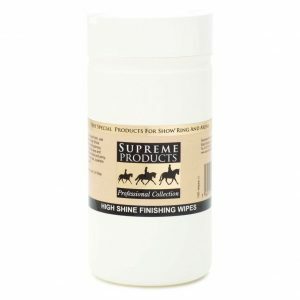 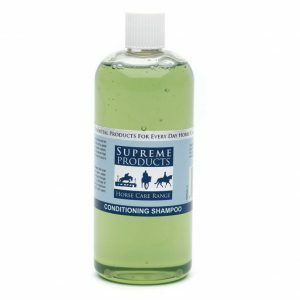 This conditioning shampoo produces shine, lustre and will leave the coat in top condition. 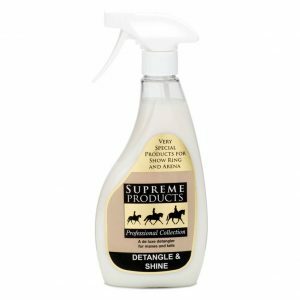 Spray a distance of approx 10” away to cover marks or scars, stray coloured hairs or to disperse through the tail or whiten legs & socks. 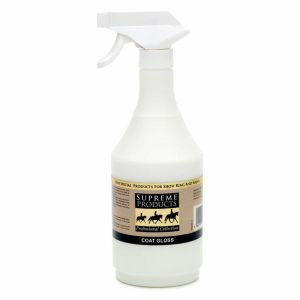 Spray a distance of approx 10” away to cover marks or scars, stray coloured hairs or add definition to dark legs.